Eastbrook apartments is a family low income housing apartment subsidized by the federal governments hud (housing and urban development division). Contact eastbrook apartments for complete details on the current vacancies and housing applications. Avon place is a disabled low income housing apartment subsidized by the federal governments hud (housing and urban development division). Contact avon place for complete details on the current vacancies and housing applications. Colonial estates is a family low income housing apartment subsidized by the federal governments hud (housing and urban development division). Contact colonial estates for complete details on the current vacancies and housing applications. Bergen circle is a family low income housing apartment subsidized by the federal governments hud (housing and urban development division). Contact bergen circle for complete details on the current vacancies and housing applications. Chateau apartments is a family low income housing apartment subsidized by the federal governments hud (housing and urban development division). Contact chateau apartments for complete details on the current vacancies and housing applications. Citywide apartments is a family low income housing apartment subsidized by the federal governments hud (housing and urban development division). Contact citywide apartments for complete details on the current vacancies and housing applications. Bay state apartments is a senior low income housing apartment subsidized by the federal governments hud (housing and urban development division). Contact bay state apartments for complete details on the current vacancies and housing applications. Eastgate apartments is a senior low income housing apartment subsidized by the federal governments hud (housing and urban development division). Contact eastgate apartments for complete details on the current vacancies and housing applications. 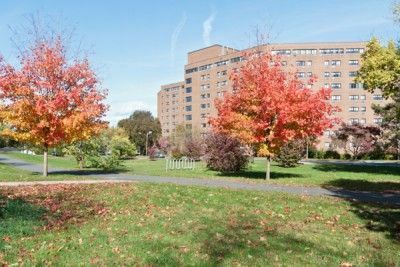 Chestnut park is a family low income housing apartment subsidized by the federal governments hud (housing and urban development division). Contact chestnut park for complete details on the current vacancies and housing applications. Concord heights is a family low income housing apartment subsidized by the federal governments hud (housing and urban development division). Contact concord heights for complete details on the current vacancies and housing applications. City view commons ii is a family low income housing apartment subsidized by the federal governments hud (housing and urban development division). Contact city view commons ii for complete details on the current vacancies and housing applications. City view commons i is a family low income housing apartment subsidized by the federal governments hud (housing and urban development division). Contact city view commons i for complete details on the current vacancies and housing applications. Champlain house is a disabled low income housing apartment subsidized by the federal governments hud (housing and urban development division). Contact champlain house for complete details on the current vacancies and housing applications. Bel-air homes is a family low income housing apartment subsidized by the federal governments hud (housing and urban development division). contact bel-air homes for complete details on the current vacancies and housing applications.